Avril Organic Eyebrow Pencil helps you redefine eyebrows with a natural, sharped and long-lasting result. 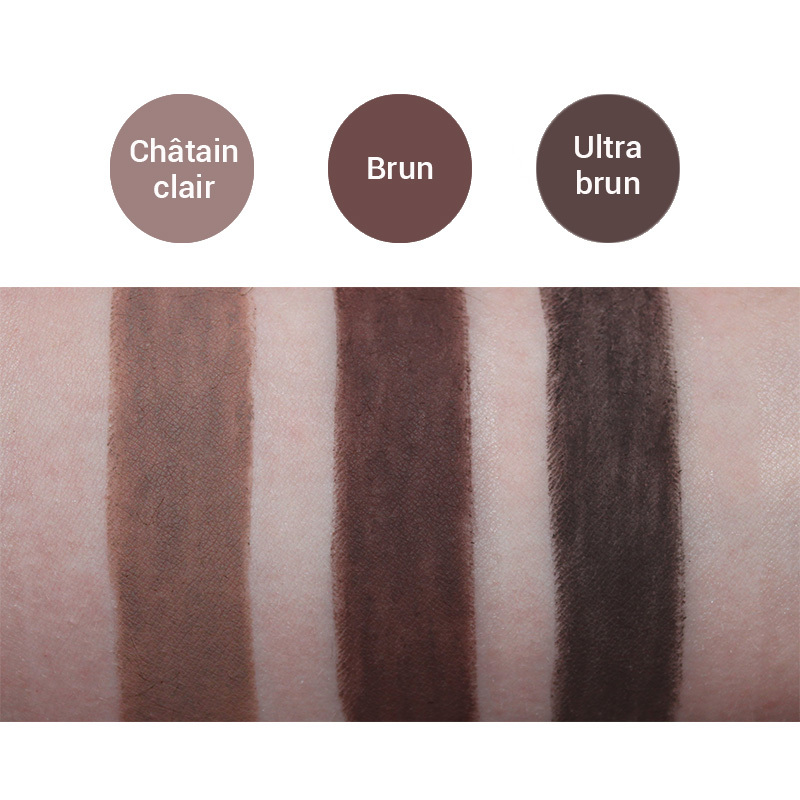 Châtain Clair shade (Light Chesnut) is for medium blonde and light auburn. Brown shade is suitable for medium auburn and brunettes. 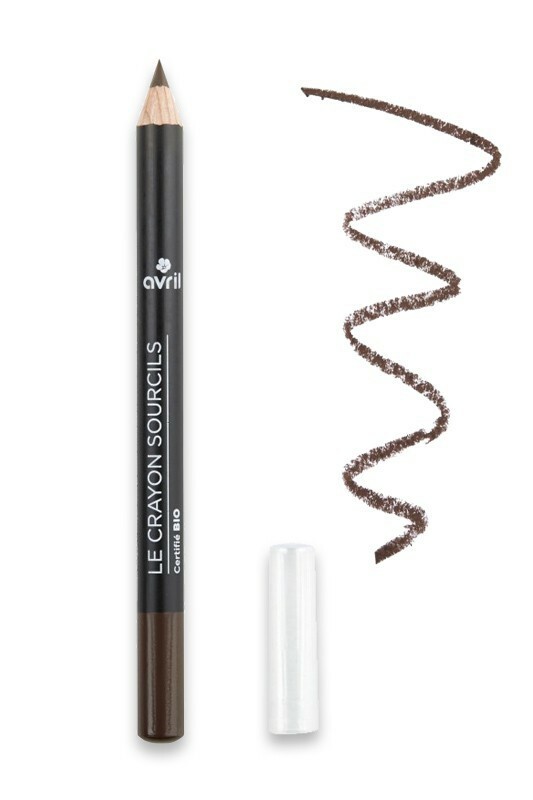 For an intense look at all times, try AVRIL Natural Eye Brow Pencil ! How to reshape your eyebrows with Avril Organic Pencil ? Comb your eyebrows using a spoolie and brush according to the shape of the eyebrows. 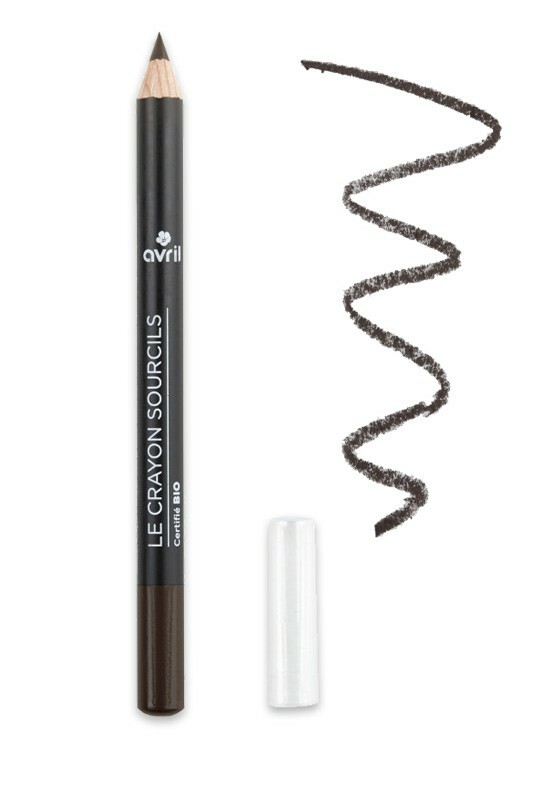 With Avril Organic Eye Brow Pencil, draw small light strokes through the hairs, following the natural line of the eyebrows. Blur the strokes using a small angled brush then brush with the spoolie for a natural even result. 100% natural formula for beautiful eyebrows ! Light Chesnut: Ci 77891, hydrogenated palm oil, hydrogenated coco-glycerides, ci 77492, cetyl laurate, ci 77499, cera alba*, ci 77491, butyrospermum parkii butter extract*, argania spinosa shell powder, trihydroxystearin, alumina, bisabolol, tocopherol. Brown: Hydrogenated palm oil, ci 77499, ci 77491, hydrogenated coco-glycerides, cetyl laurate, talc, ci 77891, ci 77492, cera alba*, butyrospermum parkii butter extract*, argania spinosa shell powder, trihydroxystearin, bisabolol, alumina, tocopherol. Ultra brown : Ci 77499, hydrogenated palm oil, hydrogenated coco-glycerides, cetyl laurate, ci 77491, cera alba*, ci 77492, butyrospermum parkii butter extract*, argania spinosa shell powder, trihydroxystearin, bisabolol, tocopherol.